Customs officials in Hong Kong recently decided to check on a suspicious shipment of "1,260 bags of sliced plastics" - and found something worse than they expected. 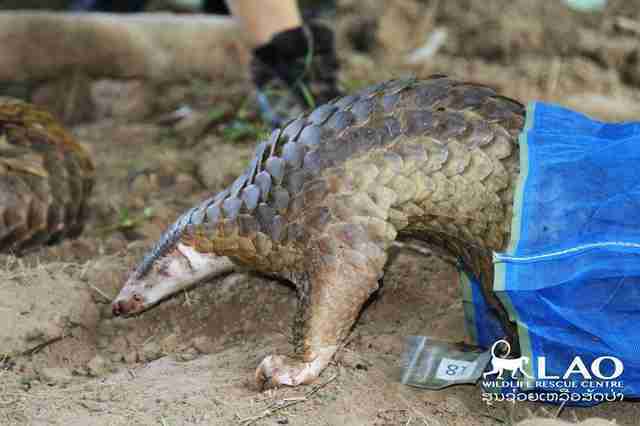 The bags weren't filled with plastics, but rather nearly 9,000 pounds of pangolin scales. 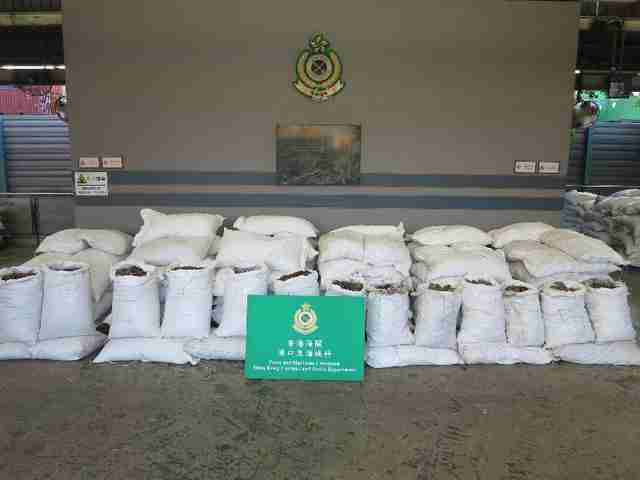 "This is the largest quantity of seizure of pangolin scales in five years," the department said in a press release. 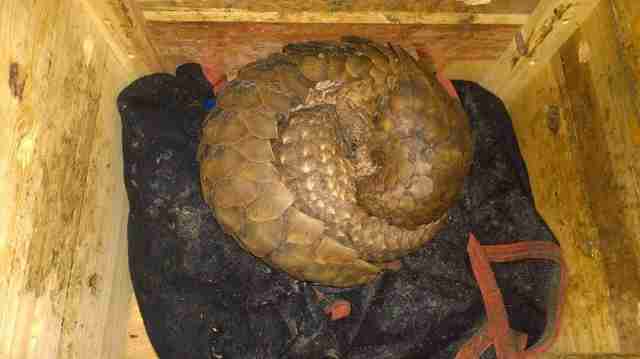 "The pangolin scales were endangered species." 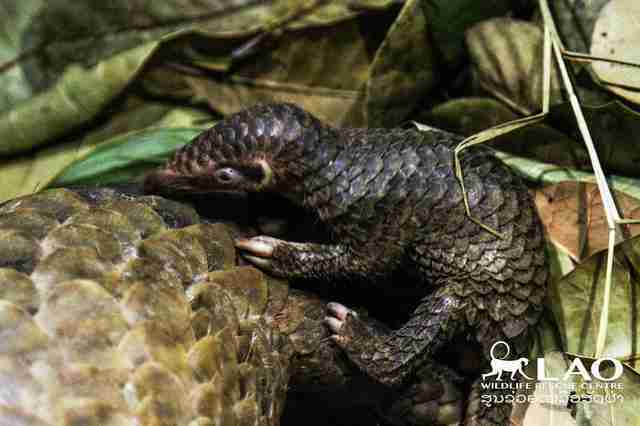 Pangolins are gentle mammals native to Asia and Africa that look rather like scale-covered anteaters. They live off insects; some are arboreal, while others dig large burrows. But while few people know about them, the quiet mammals have the dubious distinction of being the most trafficked animal in the world. Their scales, which are made of keratin like rhino horns, are highly sought after for use in traditional Asian medicine. They're also killed for their meat. 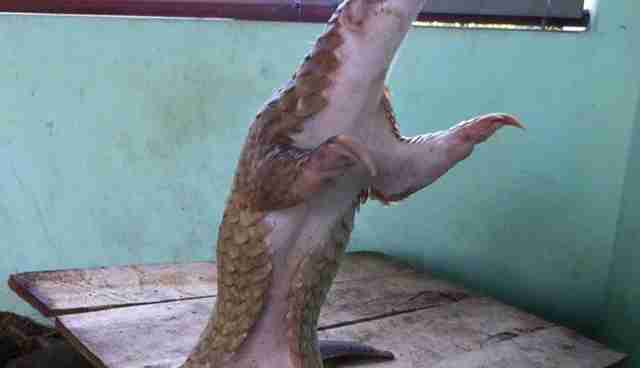 As a result, more than a million pangolins have been killed off in the last decade alone, according to the IUCN, and a new pangolin is snatched from the wild every five minutes. Their numbers are being decimated. Of the four species living in Asia, two are endangered and two are critically endangered. Unfortunately, help came too late for the thousands of animals who died for this shipment, but justice could still be served. 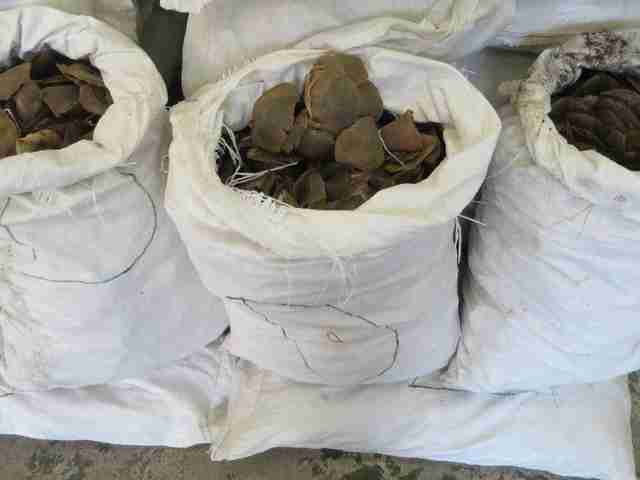 Officials said they found a total of 201 bags of scales, with a value of around $9.8 million, and seized the shipment for further investigation. The smugglers could face a fine of $2 million and up to seven years in prison for smuggling, and a fine of up to $5 million and 2 years in prison for the unlicensed importation of an endangered species. Of course, the sheer size of the bust - and the amount of animals who died to make it - is difficult to comprehend. But it's a good reminder of the plight of these secretive animals - and just how badly they need our help. If you'd like to help save the pangolins, you can make a donation to the IUCN Pangolin Specialist Group, which is working to conserve them, here.